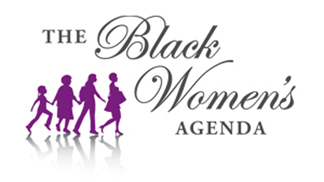 Underscoring its commitment to supporting African-American caregivers and their families, The Black Women’s Agenda, Inc.(BWA) announced this week, the release of “Conversations on Caregiving” – three, free videos that address some of the key issues associated with caring for loved ones. “Con­versations” is based on the insights and experiences of the discussion participants – the presidents and high-ranking officials of BWA’s National Collaborating Organiza­tions – as well as members of their respective organizations. The videos provide information, resources, and sage advice to help African-Americans take better care of their loved ones and themselves. The Conversations on Caregiving videos are available at no charge by visiting the BWA website at www.bwa-inc.org or www.YouTube.com. They were produced with support from Colgate-Palmolive Company. “Experts tell us that by 2020, the United States may need more caregivers than teachers,” said Gwainevere Catchings Hess, president, The Black Women’s Agenda, Inc.
“Statistics show that ethnic minorities provide more care, use less formal services and report worse health than their white counterparts. Black caregivers are also more than twice as likely as whites to report that caregiving is a financial hardship. The presidents of our National Collaborating Organiza­tions and their members are or have been caregivers, and they are out in the community supporting others who are providing care. By leveraging the insights and intelligence that lie within our organizations, BWA hopes to identify new and even more effective ways of assisting and empowering caregivers and their families.